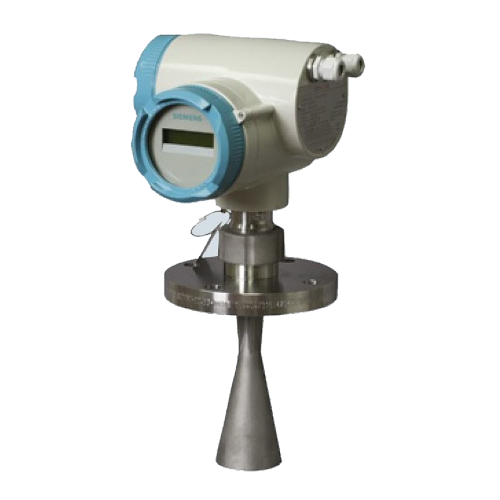 The SITRANS LR400 is a 4-wire, 24 GHz FMCW radar level transmitter. It is designed for continuous monitoring of liquids and slurries in storage and process vessels including high temperature and high pressure, to a range of 50 m. It provides excellent results on low dielectric media and for applications that require explosion proof protection. The SITRANS LR400 features a robust enclosure, flange and horn components. It is virtually unaffected by atmospheric or temperature conditions within the vessel. SITRANS LR400 is a 4-wire, 24 GHz FMCW radar level transmitter for continuous monitoring of liquids and slurries in storage and process vessels including high temperature and high pressure, to a range of 50 m; ideal for low dielectric media.